Right now, you should text “COLLEGE” to 44044. Here’s why. Fall is coming, and if you’re a senior in high school, you’re probably starting to wonder how you’ll navigate the crazy maze of application deadlines and financial aid forms when it’s time to apply to college. First Lady Michelle Obama has launched a totally free tool to walk you through the whole process – all through texting. Up Next is Better Make Room’s FREE text-messaging college support tool, and it’s designed to give high school seniors and college students across the country free personalized support on all things college – college search and application, federal student aid, even student loan repayment. A few years ago, First Lady Michelle Obama decided she wanted to do more to inspire young people to go to college. As a first-generation college student at Princeton University, Mrs. Obama knew how tough it could be navigating the college application process and entering a totally new culture. As First Lady, she’s talked about her memories of being a college freshman—from confusion in picking classes to getting lost on campus to being shocked at fellow students driving BMWs. Inspired by her own experience, the First Lady wanted to give high school and college students like you the resources to thrive in their education and in the world. So, she announced Better Make Room, a movement designed to help more students like you go to college — and Better Make Room launched Up Next. So, here’s how Up Next works. 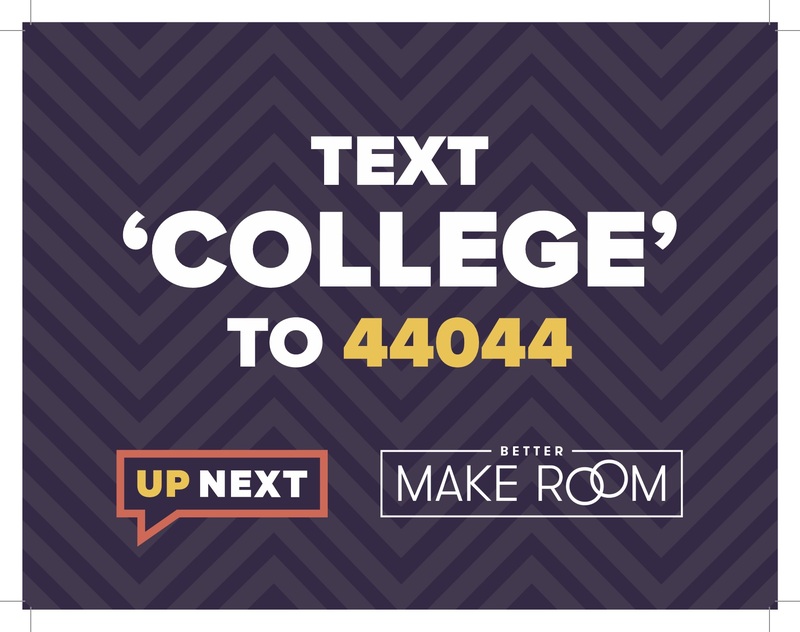 Grab your phone and text COLLEGE to 44044 to sign up for Up Next. It will ask you simple questions that help tailor the text messages for you and your journey to and through college. Over time, Up Next will send you reminders, information and encouragement through all the steps for enrolling in and completing college. 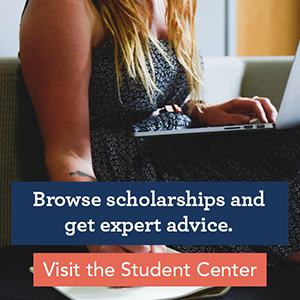 The automated texts cover topics like taking entrance exams and applying to a broad range of colleges and universities, as well as financial aid, transitioning to college, navigating new cultural environments and making informed decisions about borrowing and repaying student loans. Some students will even receive free, one-on-one college advising from real-life college advisors via text message. Life just got a whole lot easier. All you have to do is text the word COLLEGE to 44044. It takes less than 10 seconds! Better Make Room takes it from there, walking you through the college process from start to finish using Up Next. Tell them about Up Next. Share about Up Next on social media using the hashtag #text44044. You can tag Better Make Room and even give the First Lady a shout-out. Print this sign and put it up in classrooms, community spaces or wherever other students can learn more about it. Thanks for joining the First Lady’s campaign!